Foundry Switches are sought after for their high level of performance, flexibility, and rich feature-set. Layer 2/3 backbone Switches like Foundry BigIron are specifically built to support business and research applications with bandwidth intensive networks. Ideal for data storage and management, seamless communication (such as VoIP and video), and secure enough to protect financial transactions, Foundry Switches manage network traffic for government, health care, and financial organizations across the globe. 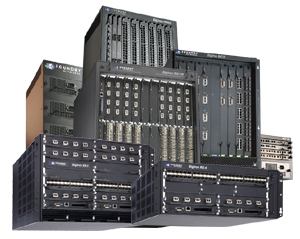 Check out our complete inventory of all Used Foundry Networks Products! Don’t be intimidated by industry jargon, give us a call at (866)-IT-ASSET and let us help you decide which Foundry product is right for your business! Townsend Networks sells all models of Foundry Switches including Foundry BigIron ( RX, MG8, 4000, 8000, and 15000), NetIron XMR Series, IMR 640, 40G, 400, 800, and 1500, and ServerIron switches.